“Good Interpersonal Skills” are often listed as a requirement on job descriptions. We have all heard the term – but what exactly are interpersonal skills? Interpersonal skills are essentially good social skills, the phase interpersonal skills incorporates those skills that we need to get on well with others and are predominately, but not limited to, Communication Skills. Some of which have already been dealt with separately in this series. Why are these skills important to your employer? For professional jobs being a good communicator (and having good interpersonal skills) is vital. Your ability to communicate with your peers, your boss, your clients and/or customers gets your job done. You are also a face of the Company. Bad Communication Skills reflect badly on your Employer. So those are two reasons not to employ a bad communicator. That said you will also need the other skills and qualifications to get the job. How can you show that you have good Interpersonal Skills? For most excelling in Interview will show good interpersonal skills, but if you are in a client facing role for example, you may need a few extra statement and example regarding your excellent interpersonal skills to go above and beyond the standard interview skills. Quite often we take interpersonal skills for granted and assume that an interviewer will just know that your communications skills are outstanding. Don’t forget , nerves can often get the better of you in interview so it is important to have a few key examples that you can draw on if you feel that you are not performing at your best and want to address the point. In order to develop the skill, you need to first assess the current status of your interpersonal skills and identify what can be improved. 1. be more aware of how you interact with others to help you identify areas that you might need to develop. For Example: do you need to learn to listen more? or do you need to work on your clarity in verbal communication? 2. Once you weaknesses have been identified you should observe others and find a style you want to take on. For example of you get tongue-tied explaining a particular process to a client, observe you colleagues or boss, note down the good points or ask them for tips. 3. Once you have established your weaknesses and how you might improve them all you can do is practice. 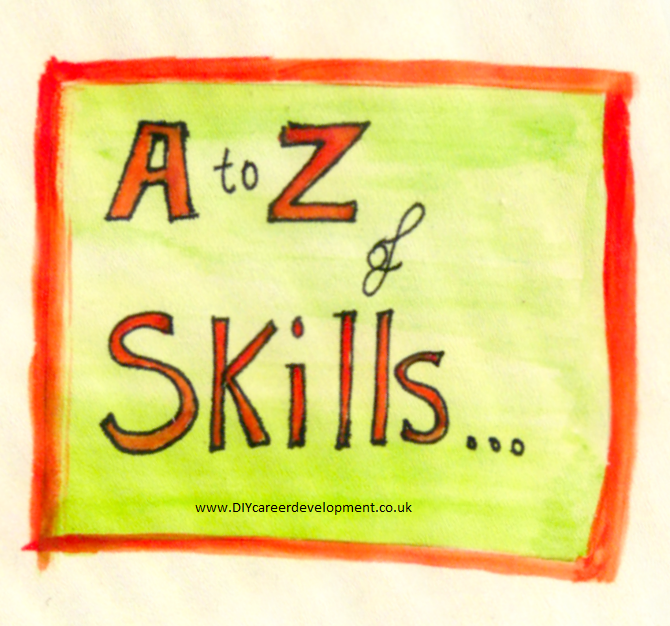 This entry was posted in A to Z of Skills Development and tagged career development, Communication Skills, Interpersonal Skills, Skills Development. Bookmark the permalink. ← How to really save time when you delegate?